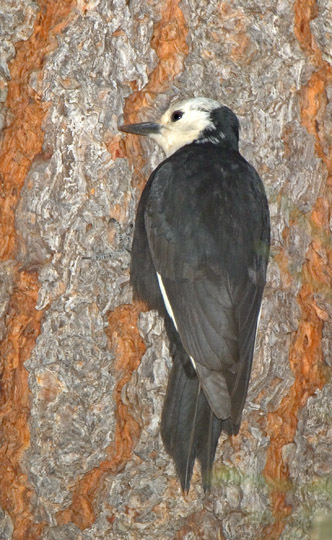 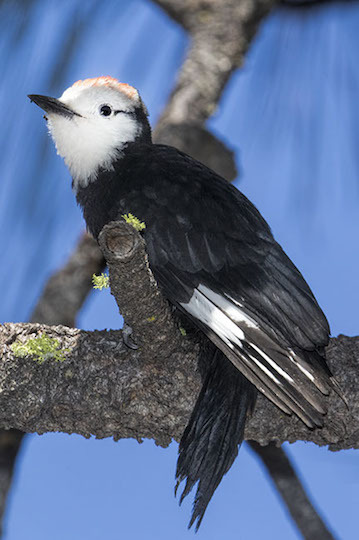 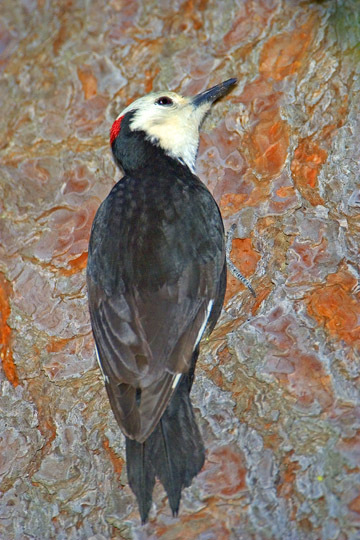 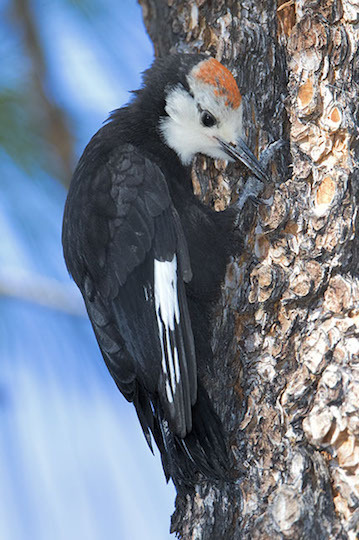 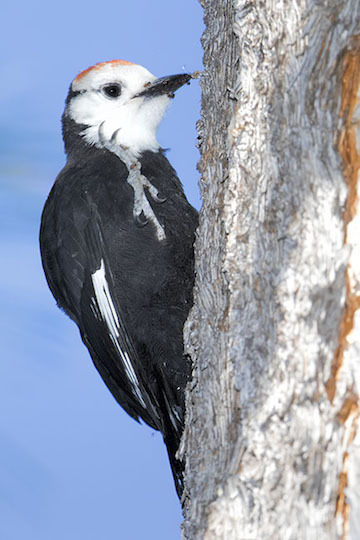 These odd-looking but well-named woodpeckers are found in mature conifer forest (especially pines) in California, Oregon, and Washington. 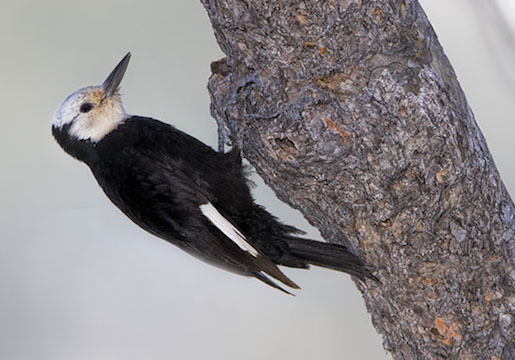 Although they can be fairly common, they're often hard to find: I have a close friend who has looked for them for years, with no success, and he was convinced they are mythological (eventually he saw some in Yosemite). 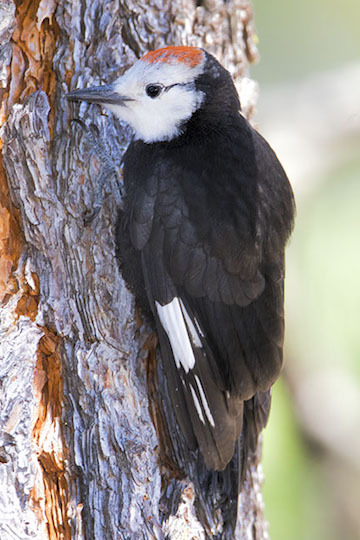 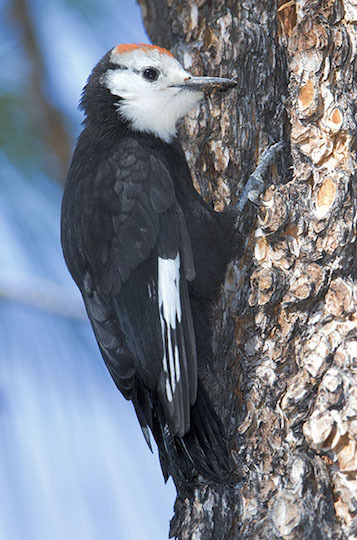 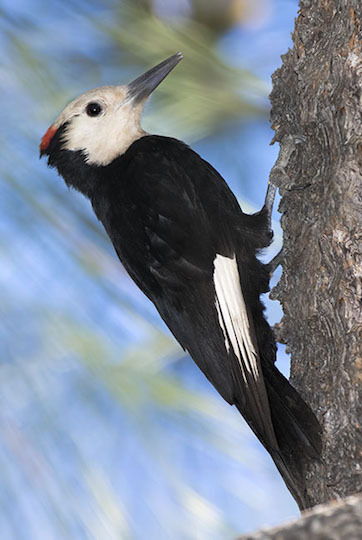 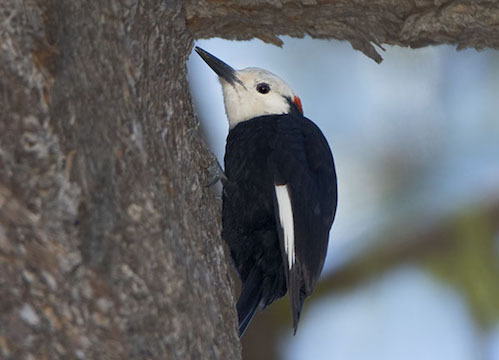 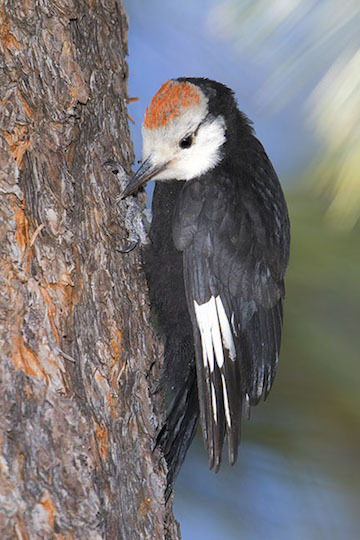 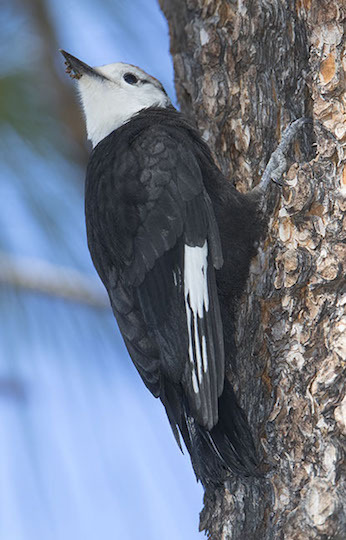 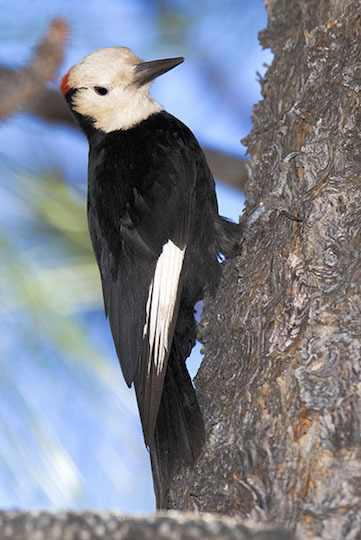 These birds were photographed in ponderosa pine trees in the San Jacinto Mountains near Idyllwild, California. 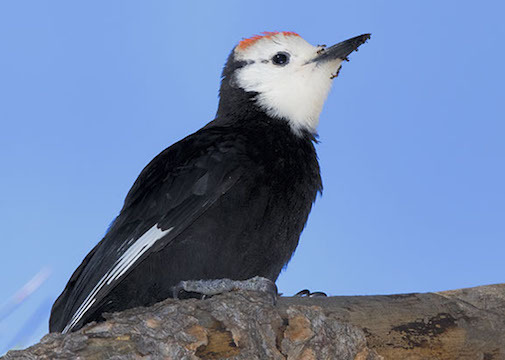 one is a juvenile, identified by diffuse red on the crown; it was trying to eat ants.